The Ontario Rifle Association was formed in 1868 under the umbrella of the Dominion of Canada Rifle Association to provide civilians with the opportunity to practice and improve their marksmanship in support of the defense of Canada. 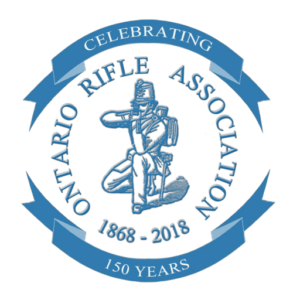 With a history of over 150 years, the Ontario Rifle association today offers shooters many varied opportunities to shoot, catering for shooters at all levels from beginner to world class marksmanship. Ontario Rifle Association events are held outdoors on military shooting ranges at varying distances from 100 to 1000 yards. Access to the range is restricted to specific days and times. In order to maximize the benefit of the range facilities, most ORA events are ‘full day’ events, typically from 8.30am through to about 5pm. But most of all the opportunity to meet or compete with people of like interest. We have shooting programs to suit many types of rifles. Rifle shooting with the ORA is a safe and enjoyable sport. We pride ourselves on our impeccable safety record, which is the responsibility of ALL participants.